Before the days of postal zip codes America had a system of zones to indicate to the Postal Service in what part of the country our communications and parcels were to be delivered. It seems that “zones’ are coming back into vogue via social and cultural engineering and liberal thinking. There may not be much legitimate thinking connected to our new zoning maps, but as E Pluribus Unum gives way to the new millennial and “alpha” generation kind of hyper-personal ideologies. The day may be near for each to, metaphorically speaking – have their own zip codes. It may be over the heads of most, but calling this generation “alpha” is totally incorrect. This is without doubt the “omega” generation and it needs no zone or zip – it is a global phenomenon. If you don’t already know it omega is the last generation in the world as we now know it. Consider these zones, which either now exist, or, are in development. Gun Free Zones – This writer is neither a gun owner nor user, but I have never imagined that there could be one square foot of ground on American soil where the 2nd Amendment was not in full effect. When our laws are curbed, only the actions of the lawless will prevail. Only in the morally twisted climate of today would a crazed gunman enter a “gun-free” zone and start killing, while an armed legitimate peace officer would not. It hardly takes a brain to see that gun-free zones are without doubt, brain-free zones. Sheriff Free Zones – This is the latest zone to develop and it stretches the credulity of the strongest minds to accept or believe. Is it an old episode of the “Twilight Zone” or Andy Taylor the sheriff without a gun that finds a Broward county Sheriff unwilling to enter a school where young students are being mowed down by a deranged killer? A sheriff that refuses to use his weapon to stop a slaughter is liberalism on steroids. Safe Zones for Snowflakes – Colleges and universities seem to think that there should be spaces where scary free speech cannot endanger their sense of safety. This is a day when progressive education and liberalism must be accompanied by wimpy-ness. It is a day when inclusivity and diversity do not include divergence. What does all this double-talk mean? Put simply it means that all opinions are allowed as long as they are no different than mine or my group. It is not just the death of free speech but it is the murder and mutilation of free speech, common sense and reason. No Go Zones for Non – Muslims – Dealing in half truths about half of the time, the internet’s own “Snopes” insists that “no-go zones” do not exist either here or in Europe. This is 2018 and there are areas both here and in heavily populated Muslim enclaves in Europe that have created an atmosphere of crime, fear and danger for local residents and in some cases the police. The danger is so real that they are perceived as no-go zones. Snopes would have to issue free journalistic blindfolds to keep even the casual researcher from discovering this fact. Check into Gatestone Institute, Frontpage Mag or Jihad Watch for better facts. In America, Michigan communities, including the most notorious, Dearborn, is following Europe at top speed. You don’t have to officially declare a no-go area – all that is needed is abject fear among the locals to earn the title of “no-go zone.” Don’t get snockered, snookered or snoped – no-go zones are real. 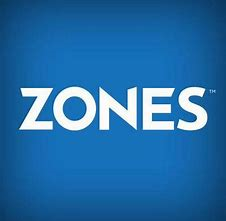 No Science Zones – All LGBT groups are covered in this zone where reality has been suspended, or abandoned to the faulty premise that whatever is in a person’s mind is the only reality. This is best seen in the transgender movement where the most basic science is ignored to create a fantasy. Ignoring all the conclusions of biology and genetic science the transgender movement refuses this simple fact. No amount of hormonic or cosmetic manipulation can change the DNA patterns of even one single human cell. If you are a man you will always be a man, it is an immutable fact of life. No Cold Zones – Global warming, the new religion for disciples of Al Gore and the faulty Kyoto Protocols, has mushroomed among liberals around the world. It ignores hundreds of new reports being offered year by year that challenge its dishonesty and presumption. England is about to freeze, Rome is covered in snow, but to the warming sycophant it is always getting hotter. In 2015 this writer published an article entitled, “The Bible Says: Not Global Warming, but Universal Cold that brings the Planet to its Knees” the obvious conclusion of this article is that it is one very small area of extreme cold (Mt 24: 12) that does mankind in – not global warming. No God Zone – This nationwide phenomena began when atheist, Madalyn Murray O’Hair, single handedly got the Supreme Court to remove prayer from public schools. It has been going strong ever since. With the help of many atheist groups like Freedom from Religion Foundation and political activist organizations like ACLU and Southern Poverty Law Center, the removal of all that is God, or that is called god, has been getting the boot from all public places and settings. Oddly this is exactly what the “antichrist” does the minute he starts his seven year rule over the entire earth. (2Th 2:4) It is worthy of note to say that regardless of how successful this movement becomes it will ultimately fail. Between the idea that man evolved from and is now only a little above animals, and the continued daily slaughter of perfectly healthy un-born babies, our youth are caught in an impossible quandary. How can we teach them to respect life, and others, when we hold life in such contempt? The no-baby zone is the breeding ground for the no-soul zone. The Dead Zone – Careening into a generation long secular Godless, loveless and lawless nightmare, has taken its toll. It is hard to imagine that Christ once told those who had to go bury their deceased father to skip the funeral and follow him by saying “let the dead bury their dead” (Mt 8: 22), until you come to this amazing scriptural statement made by the Apostle Paul – “And you hath he quickened, who were dead in trespasses and sins.” (Eph 2: 1) It is the combination of these two verses of writ that tell us all, one dreadful truth. We needn’t do anything to get into the dead zone, without Christ, we are already there! The No Prophecy Zone – America and the entire world recently lost the greatest evangelist of all time at the death of Rev. Billy Graham. As the world and the church plunge headlong into apostasy and un-belief the largest single zone ever to sweep across the world has begun to emerge. It is the great unwashed generation. Without revival and a return to faith the future will be decided by those in this zone. Since a full end of sin and the history of man as we know it is promised, the only requirement to enter the prophecy free zone is to completely ignore one quarter of the entire bible that warns of a final judgment day. That is where most people are today and will remain there until the great surprise known as – the second coming of Christ.